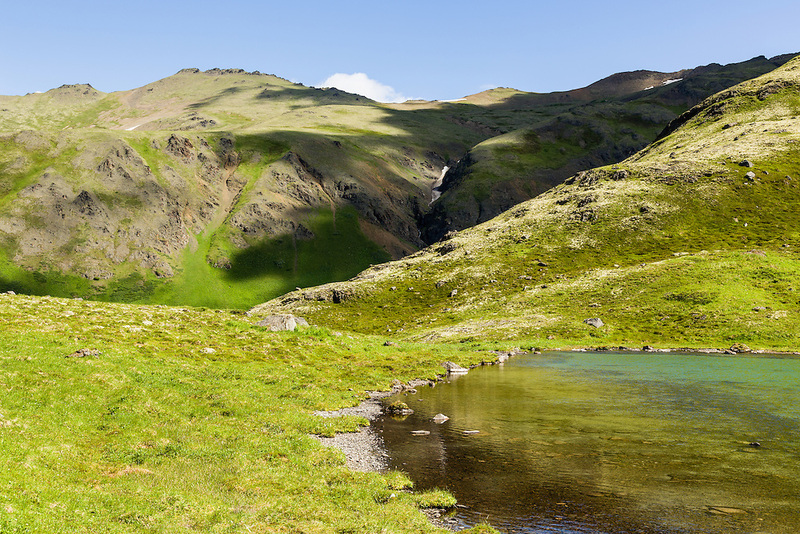 Scenice view of Hanging Valley Tarn in South Fork Eagle River Valley in Southcentral Alaska. Summer. Afternoon.